sorry i'm late this month! my little boy turned 3 last weekend and my in laws were in town to celebrate! we spent the last few days together hence i didn't have an opportunity to pop in here... we had a celebrate for ethan in school on friday and a family dinner on saturday. a double celebration for our little monkey! love you lots darling and here's wishing you a very happy birthday! 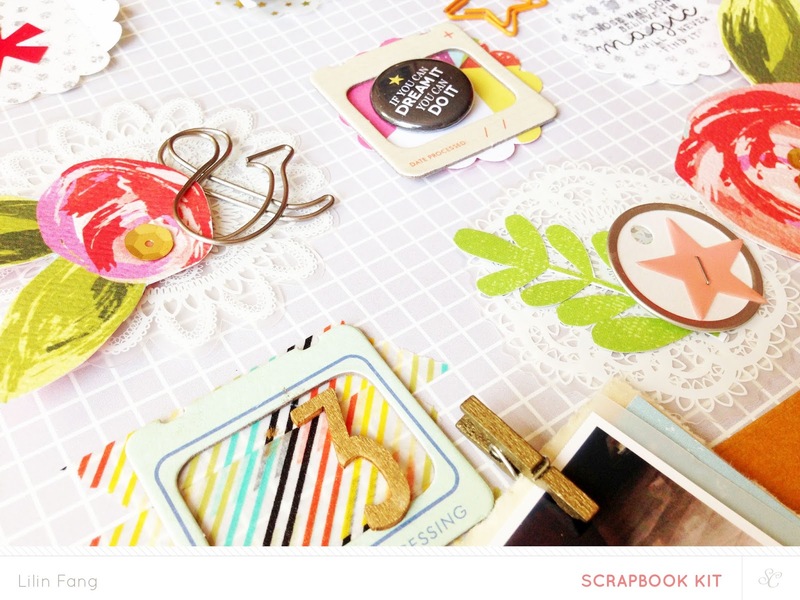 so, today i finally found time to sit down and i can't wait to share with you the reveal of studio calico's sandlot kit! 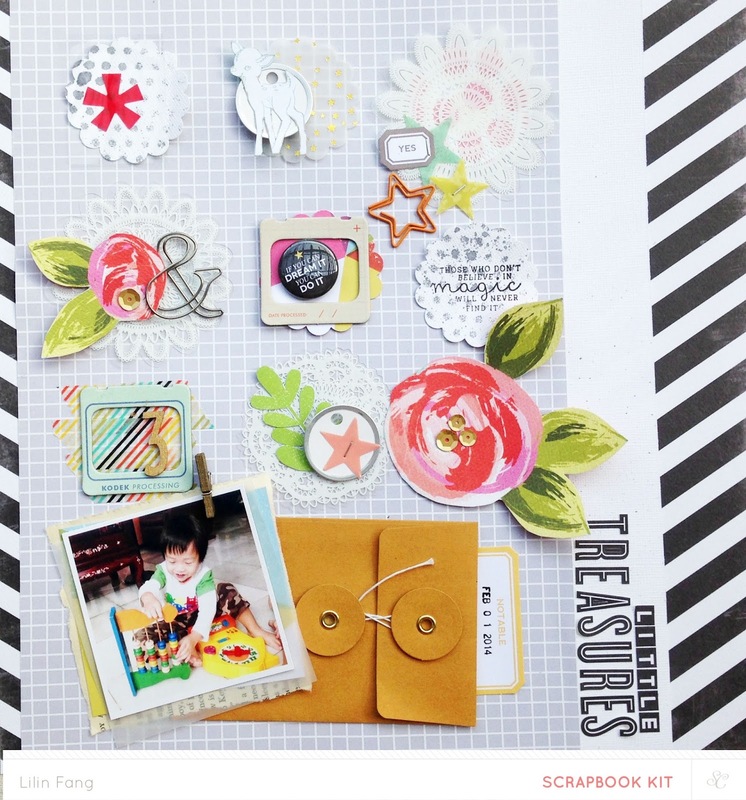 i've had so much fun working with sandlot scrapbook kit, the scrapbook add ons hercules, jet and smalls. 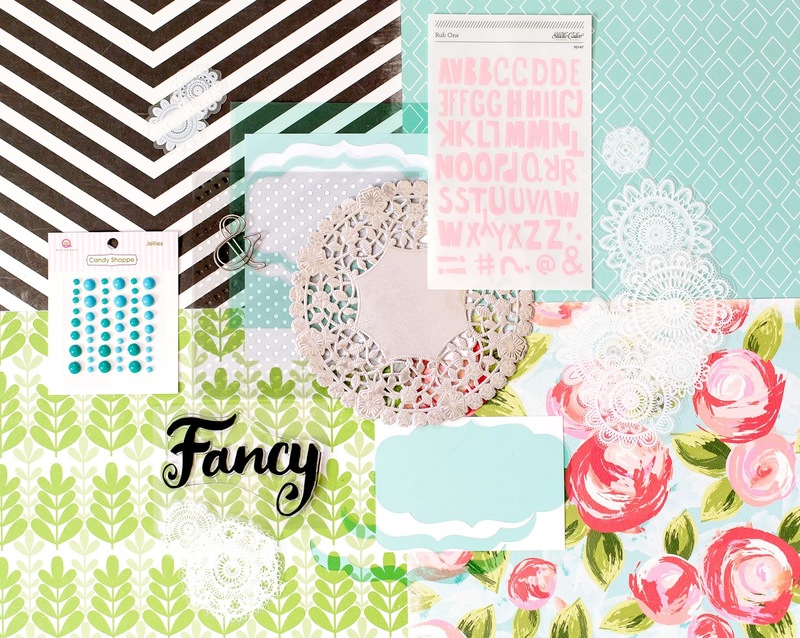 they are filled to the brim with lots of pretty papers and embellishments! 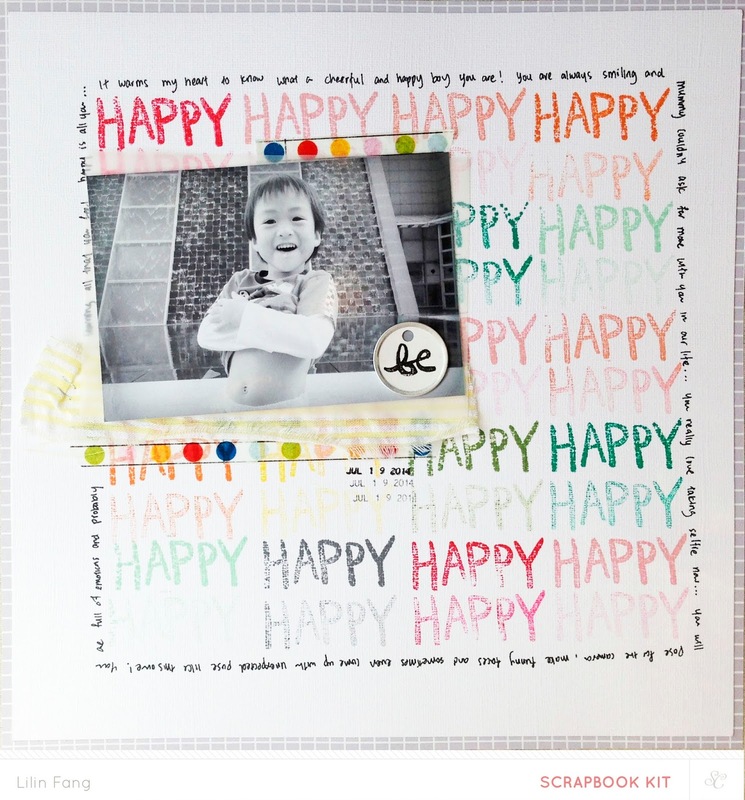 i love love love the 'be happy' stamp designed by talented ct member shanna noel so i grabbed my color theory ink pads and stamped in different colors to create a background for my black and white photo. what i love about the color theory ink pads is that it always coordinates very well with the colors of the kit! i always use the mood board for the month and pick out the matching colors from my ink pads. so for this layout, i used well red, blush crush, coral bay, orange country, sunny day, yes peas, emerald city, mint hint and clean state. then i decided the placement of my photo and layered it with the colorful dot washi tape, ribbon and vellum. to complete the title, i stamped the 'be' accent on the circle metal tag and adhere it to my photo. and to finish off, i added my date stamp and journaling around my stamped accents. the first thing that caught my eye in ashli's layout were the 9 decorated circles. i love adding little details to my layouts and thought it would be a fun layout to put together. i started my layout with the grey grid patterned paper as my background. instead of circles, i decided to use the plastic doilies from hercules. the doilies reminds me of my scallop punch so i used it to punch some patterned paper which i used to make up my grid design. with all the embellishments and papers on hand, my grid design came about quickly and i really enjoyed decorating each doily/ scallop. i did a quick check of the shop and realise that hercules is still available! i am surprised because its my favourite add on this month! i can't tell you how much i love the papers from hercules because they can be cut and used as embellishment. i cut out the roses from summer floral paper, leaves from laguna palms paper and the cute little deer from blue ridge paper. i am also in love with the black strips paper and am still hoarding a small piece of it. another favourite are the plastic doilies, i love doilies and i love them when they are transparent! great for layering. other favourites also include the polka dot mask, ampersand paper clip and of course the fancy stamp! i didn't get to use the pink rub on alphas but they do look cute too! thanks for dropping by and see you soon!